Eggs are one of the most wholesome and nutritious foods and is considered as one of the super foods. They are a part of our breakfast menu and make an occasional entry in our dinner too. They are one of the most wholesome and nutritious foods and is considered as one of the super foods. They are known as a source of high quality protein. Proteins repair muscles, manage blood sugar levels, provide immunity and strength and help in weight loss. Eggs are also loaded with vitamin D, which is necessary for strong bones and teeth. According to the Journal Heart, consuming an egg will significantly reduce the risk of cardiovascular diseases. Cardiovascular disease is the leading cause of death and disability across the globe, mostly due to ischaemic heart disease and stroke. 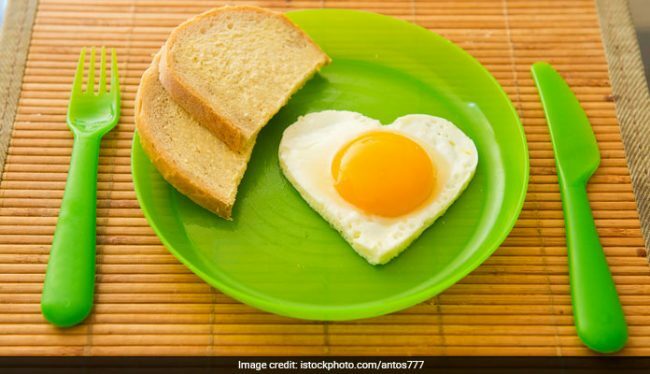 According to Tapasya Mundhra, Nutritionist and Health Counsellor, “Eggs are a great source of first class protein. The yolks can be avoided as we anyways tend to consume a lot of fat throughout the day. 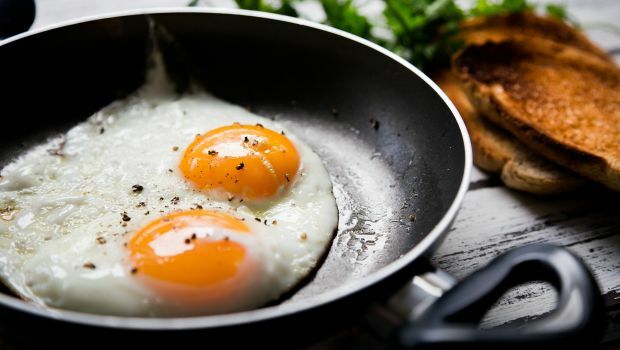 Since summers are here, I suggest you eat eggs for breakfast or dinner, when the temperatures are a bit cool.” In addition to its health promoting qualities, the versatility of eggs has been one of its most celebrated feature in the culinary world. Cooking an egg is always an adventure since it involves technique and precision. Kick off your mornings on a nutritious note with your these incredible egg recipes. But before that, let’s learn how to fry eggs. The goal of a lightly crispy and a well cooked and delicious egg is not tough to get for a beginner chef. Let’s start with how to prepare this sumptuous fried egg, which goes with almost every meal. Step 1: Take a frying pan that is around 8 inches in diameter, if you are cooking one egg and a 12 inches pan, if there are more eggs than one. Start heating the pan on medium heat. Step 2: Now, add half a table spoon of oil (if you are cooking one egg). As it starts heating, swirl it lightly so that the oil coats the entire bottom of the pan. Add more oil if your pan is not coated with a thick layer of oil. Cooking sprays can also be helpful for helping you in spreading the oil. Step 3: Heat the pan on medium heat so that it doesn’t end up becoming brown in colour. Now, wait till the oil becomes shimmery and then add an egg. Step 4: Break the egg gently on the pan so that the yolk doesn’t break and clear the shells from the pan. As soon as the egg lands the pan, it should sizzle a little. Step 5: Leave the eggs undisturbed for 1-3 minutes. Do not try and move the eggs now. Step 6: Put a lid on the pan so the steam is trapped in the pan. This will help the whites to set and get the runny yolk like we always wanted. Step 7: Now, open the lid and observe the hardness of the yolk. Touch the yolk to check the hardness and then check if there are no uncooked bits of egg. This process mostly takes approximately 5 minutes. Step 8: Now, bathe the top of the egg with olive oil, once the outsides are brown and crispy, sprinkle some salt and pepper and you’re ready to serve. Cooking an egg is always an adventure since it involves technique and precision. How Do You Serve It In A Quick Fancy Way? 1. Let’s start with something basic like a toast. we can put our fried egg on toast, which is easy and never fails to satisfy. For adding additional value to the meal, we can add baked beans, few slices of tomatoes and sprinkle a little cheese. Your first meal is ready!! 2. Serve fried eggs over leftovers for a filling meal. Stir vegetables, pasta and lettuce along with the fried egg, place it all in a sandwich. Your perfect sandwich is ready. 3. This one is a little but more fancy, it’s on a pizza! Just crack two eggs on the top of your pizza before it goes into the oven. Whites of the egg will set and the centre will become soft. Enjoy your happy meal. Now, you have learnt the basic and the easiest way to fry eggs, so you are good to go to try some more quirky ways to include eggs in your meals.